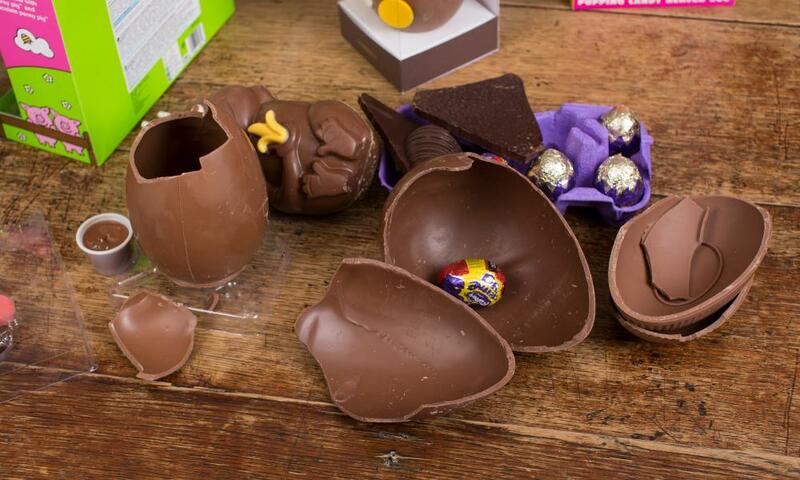 Buying an Easter egg is like buying a secondhand car. It is a much more significant outlay than you would normally put down on confectionery. They always look good, but can turn out to be two dogs welded together. Everyone tells you to get an AA man to go with you when you buy it, but you never get around to it. Think of me as that AA man. Some general observations on trends for 2016. Gold dusting is unaccountably huge this year, even though it makes everything look roughly 15% less edible and, on the cheaper eggs, comes off in clouds as you open up the packaging. 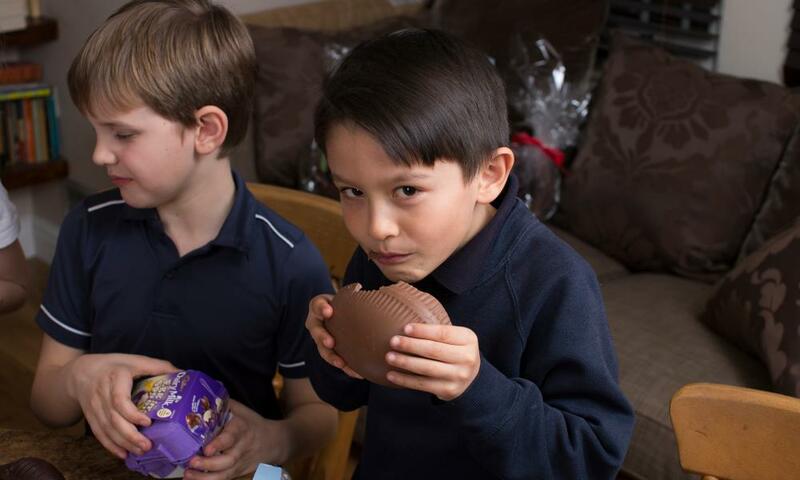 “It’s like a fairy blowing magic in my eyes,” said the six-year-old, H, of the Asda Extra Special Belgian milk chocolate golden egg with milk chocolate truffles. I squinted at her like Larry David, strongly suspecting a whole range of ulterior motives; maybe she is looking for some kind of mascot-sponsorship deal with a supermarket. She met my gaze, sphinxishly. As I’ve thought so often, whatever it is, I won’t know until it’s too late. Even though, weight for weight, eggs are no cheaper than filled chocolates, you can make more impact for less money, due to the melodramatic shape. You might think the Marks and Sparks gold egg is incredibly expensive at £40, but it is gigantic, like a piece of furniture or a jeroboam. You would go down in history if you arrived with this egg, whereas you could drop £40 on quite a modest-sized box of fancy truffles and nobody would even remember you were there. It looked larger than it actually was, but what a beauty: a romantic, ephemeral creation, an egg written by Saint-Exupéry. The dark chocolate egg in a carefully fashioned balloon shape was daubed with a pink chocolate stripe, a trace of strawberry flavour. Strings of (not terribly edible, granted) pink and blue liquorice hung down and the box was packed like a treasure chest. 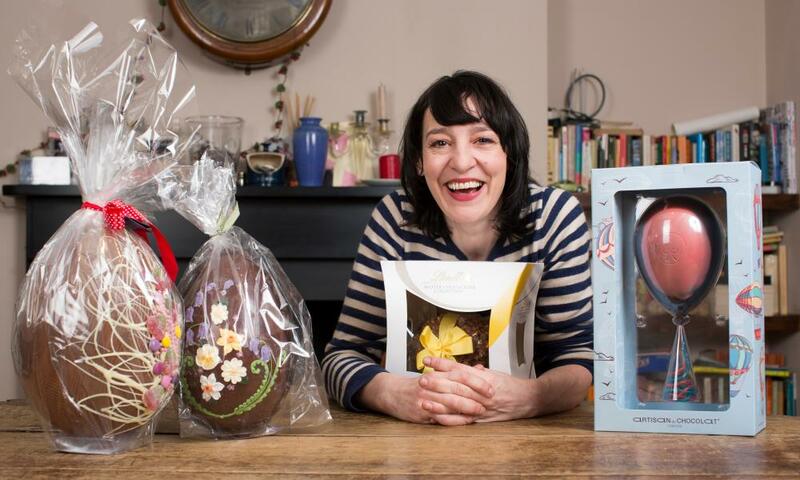 “This is the king of the eggs,” announced the eight-year-old, T, of an egg that was as big as you could reasonably ask, with dolly mixtures and jelly tots smashed into the front of it, in a Jackson Pollock style. It didn’t have anything hidden inside, but the chocolate was a great crowd-pleaser, sweet enough for children yet still expensive-tasting. A great chocolatier and superb craftsperson; exquisite fondant festooning across the front makes you nostalgic for the springtimes of yesteryear. It is a rich, adult variant of milk chocolate. Unsuitable for (read: wasted on) children. One day, I’m going to call the entire egg industry into my office for a conversation about hyperbole. This was not heavenly, it was waxy and overpriced. So simple and so pretty. The egg is half milk and half dark, each side vying to be the most delicious until, wham, you look up and you’ve finished it. Four exquisite truffles inside and a sweet embossed box. Opinion was divided; children broadly found the chocolate too dark and some adults found the caramel too sweet. I thought they were well balanced, though, and I’m who counts. It sounds like a party Berlusconi would go to, but that did not diminish the rich, complicated expertise. 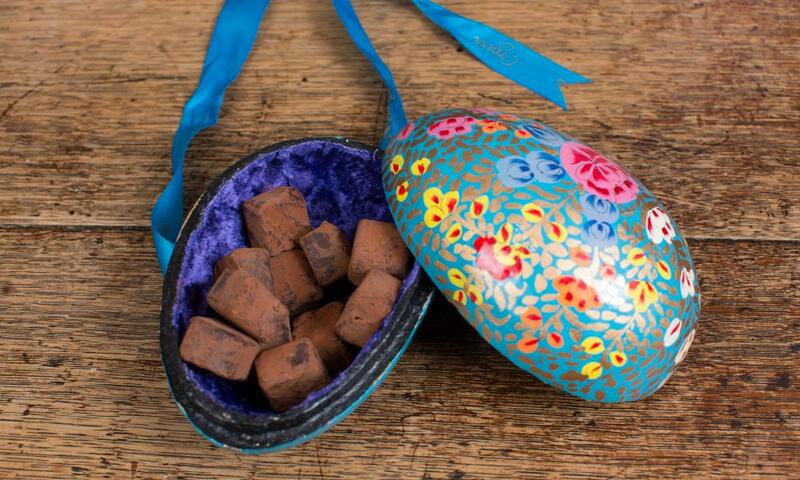 No egg, just truffles in a velvet-lined egg-alike box. Good value for the category. It looked eerily beautiful, like an Ethiopian candleholder, and it tasted disgusting, like a stale Caramac. An extraordinarily accomplished chocolatier, Young is known for his scenester whimsy: crisp-flavoured truffles, Vimto fillings, that kind of thing. The purity of this simple egg comes as a dazzling surprise. 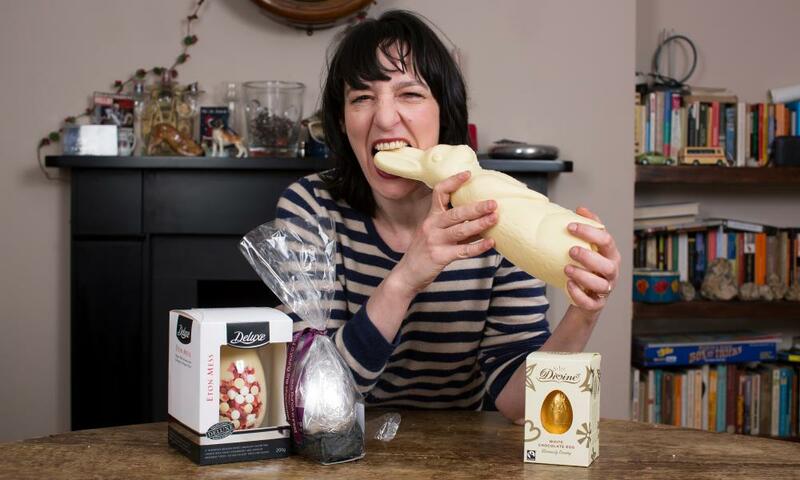 They do what they do – ethical, adult, dinner-party-standard chocolate – and they don’t deviate. Their raspberry and dark chocolate egg was good, too. With the caveat that it didn’t taste very much like Eton mess, this was attractive; it followed the modish style of a chocolate egg with other high-sugar-value items pressed into the front of it. It tasted – though didn’t look – more expensive than it was. Unutterably horrible chocolate: waxy, far too thick and with such an insipid flavour, there was a five-minute lag between biting into it and figuring out what you were eating. I actually spat it out, which I never do. In the shape of a cocoa pod, and dusted in variegated greenish, reddish hues, this is outrageously pretty yet simultaneously grownup. Wonderful, arresting flavour. This had rather a clunky appearance, like an 80s video game, but the chocolate was really good and the honeycomb made it taste more expensive than it was. Given my prejudice against gold dusting, I leave it to you to imagine how good, wholesome, moreish and rounded the chocolate was to overcome it. The truffles benefited from the slightly masking quality of the salt and, as a result, tasted classy. The packaging makes it look like an egg from last year that you bought in a car boot sale. Then it tastes like that as well. It’s not cheap and it’s very delicate, and if you do manage not to break it, you won’t want to eat it or let anybody else, so realistically badger-y is it. But it is totally delicious, with that sliver of lactic sharpness that the best milk chocolate has. Conceived along the lines of a Mr Potato Head, this comes as a plain egg, some colourful chocolate features and an adhesive syrup. Even a relatively ancient child – C, 10 – couldn’t keep his mitts off it for long enough to turn it into a face. But I still loved the idea and the chocolate was excellent. Radically overpriced, with a fabric dog dangling off its giant pink plastic exterior and a toy of Kinder-Egg (which is to say, zero) quality within, nevertheless, this sent the six-year-old girls into a delirium of pleasure. If you don’t mind being fleeced and want to know what makes a chick tick, it’s this. Hotel Chocolat Egg Sandwiches (135g, £10) aren’t cheap but are witty, mouth-filling and wildly popular; Cadbury’s Hollow Egg with Cream Eggs (278g, £6.15) is as delicious as it has ever been; the Asda Cheeky Monkey (250g, £4) was too sweet and I had to melt it down to make hot chocolate, but it made a big visual impact; and the Aldi Choceur Eggjoyables (144g, £1.49) were toothsome, though if I ever meet the person who decided to put two spoons in a packet of four eggs designed for children, I will pin them against the wall and tell them a thing or two about human nature. 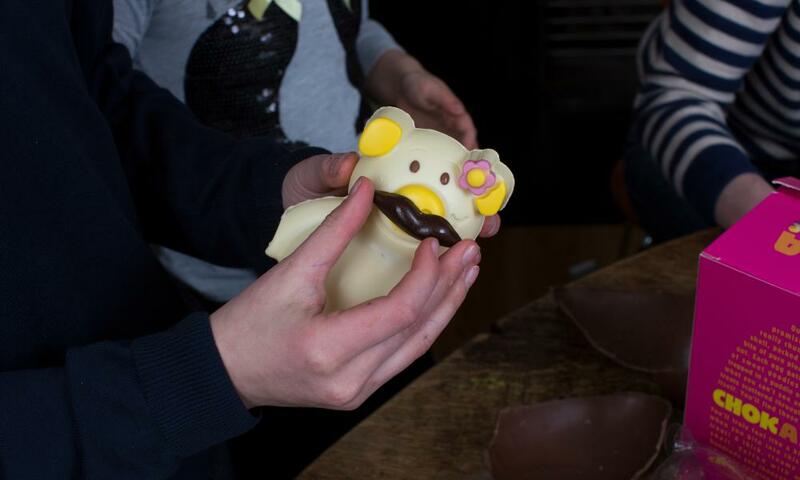 Initially popular for its cuteness – a white chocolate and a pink chocolate pig, which the girls started cradling like a recipe for stains that will never come out – this was rejected as soon as it touched any tongue, child or adult. The white chocolate was especially disgusting.